You can park on the infrequently used road at R 983 089 A. There is a waymarked way sign there for the Avondhu Way, which crosses the road East-West. 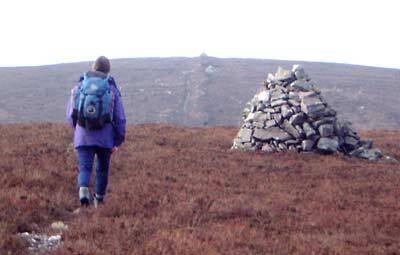 Follow this way for a while then head towards Crow Hill which is marked as being 1 metre shorter than Farbreaga. (Arguably it could be shown as another top in the 500m list. ).